I have to admit it, I am not too crazy for the traditional taco made with ground beef. We usually buy the packet of taco seasoning which is okay and add it to the ground beef; at least my family likes them. I prefer to have chicken in my tacos; usually seasoned with a few different spices. They are good, but could be better. When I made chicken tacos one of the last times I decided to look for a new recipe, something to spice things up a little. I found a recipe called chili-garlic-spice paste in my Joy Of Cooking cookbook that sounded like something that I was looking for. I decided to adapt it to what I had in the house and tone it down just a little bit. It called for jalapeno peppers which I didn’t have in the house at the time and so I used a can of green chiles in the peppers place. We loved this so much that I have made it one more time since then and the second time we used the jalapeno peppers. I can’t say that the flavor was all that different, but it was still quite spicy and very delicious. Since I made this paste I can’t see myself making my chicken tacos any other way than with this chili-garlic-spice-paste. It is so full of flavor and it really is hard to quit eating it, you just want more, because the flavor is so delicious. 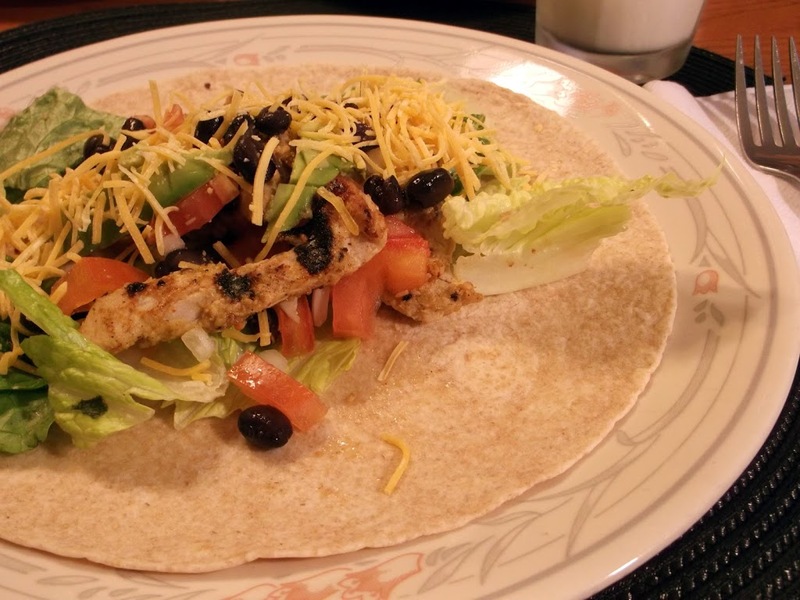 Top with your favorite toppings, my tacos included avocado, onion, tomato, black beans, cheddar cheese and salsa. So I won’t make you wait any longer. Here is the recipe so that you can start enjoying it too. Combine in blender or a food processor until smooth. Add the chicken strips and chili-garlic spice paste into a Ziploc bag and let set over night in the refrigerator. 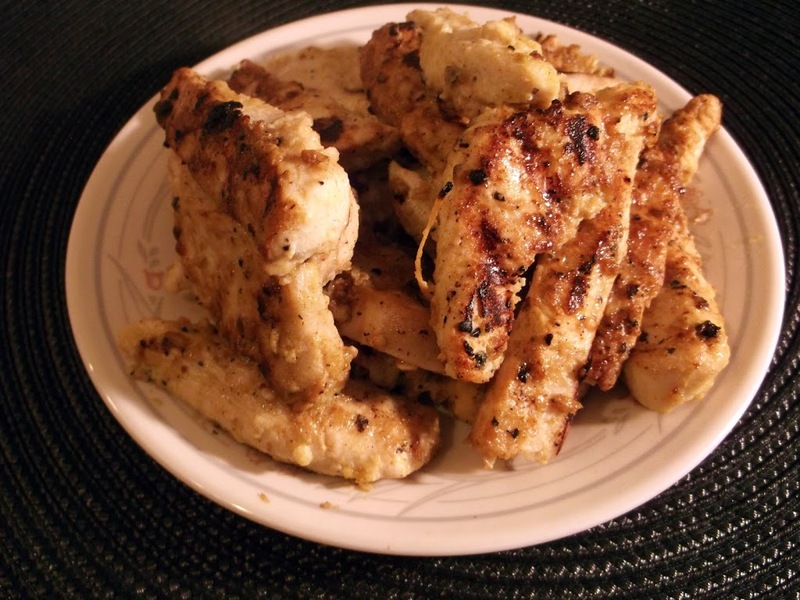 Heat George Foreman Grill, brush gill with olive oil and once heated place the chicken strips on the grill. Grill for about 2 minutes and flip chicken and grill for another 2 minutes. Time will depend on how large your chicken strips are. (If you don’t have a George Foreman Grill this can be made under the broiler, just make sure to cook chicken until done). To assemble place chicken on shells and top as desired. Enjoy! Note: lemon or lime zest can be added to the paste if desired. The recipe called for 2 tablespoons of chili powder, so if you want a paste with more heat more chili powder can be added). 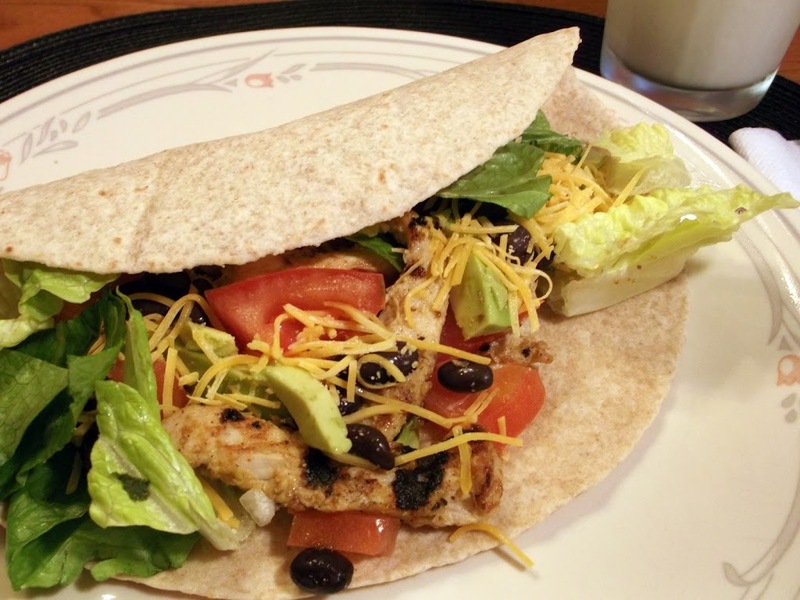 Your chicken tacos would get rave reviews from my family! They sound amazing! I have a feeling I would love these tacos too!